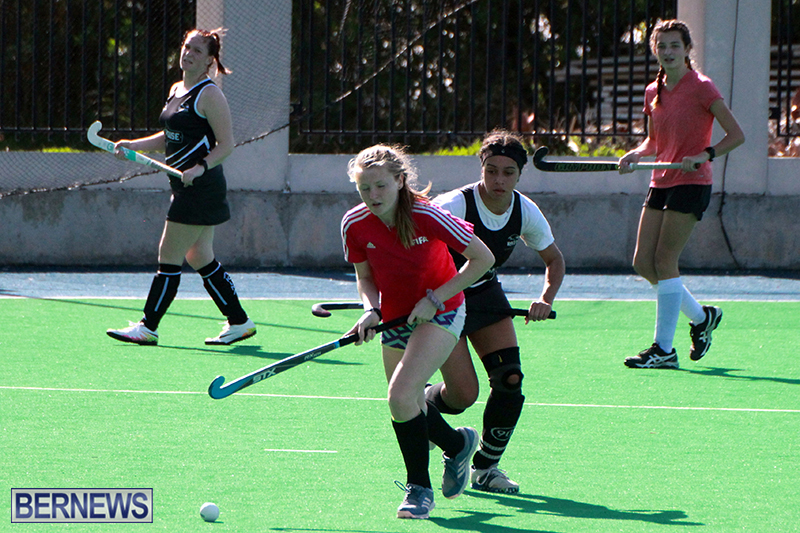 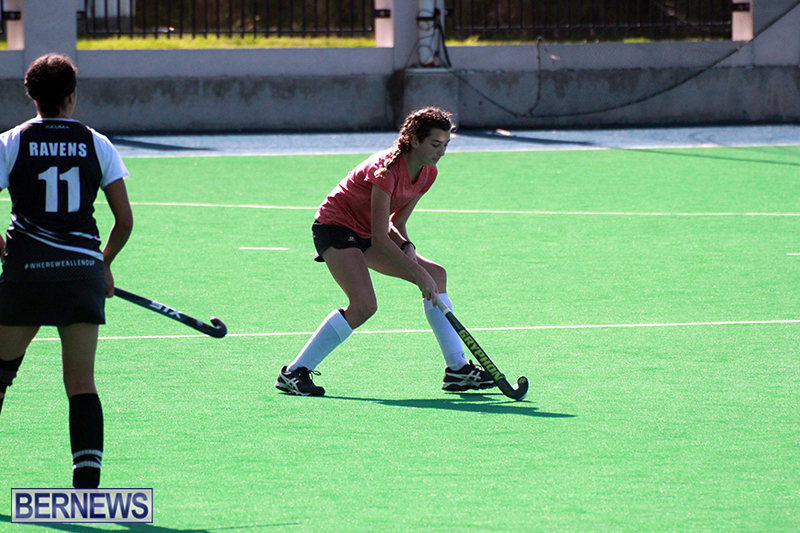 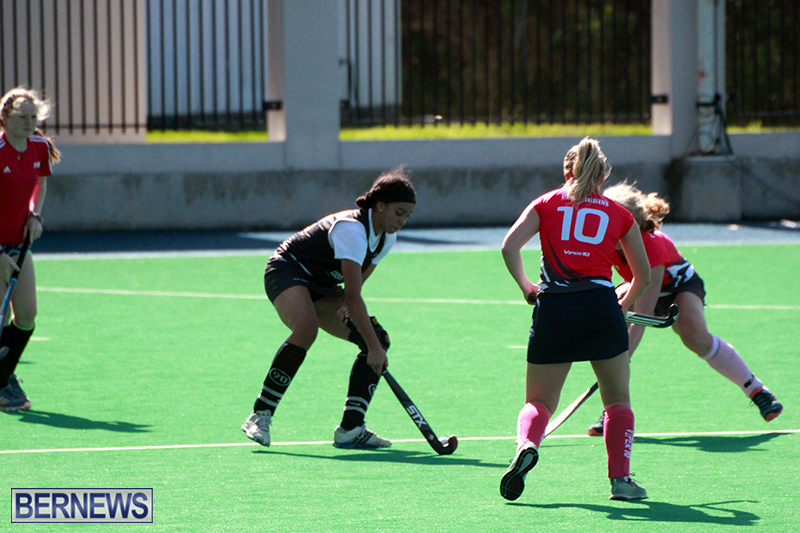 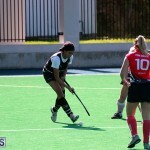 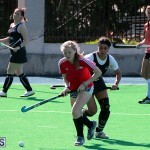 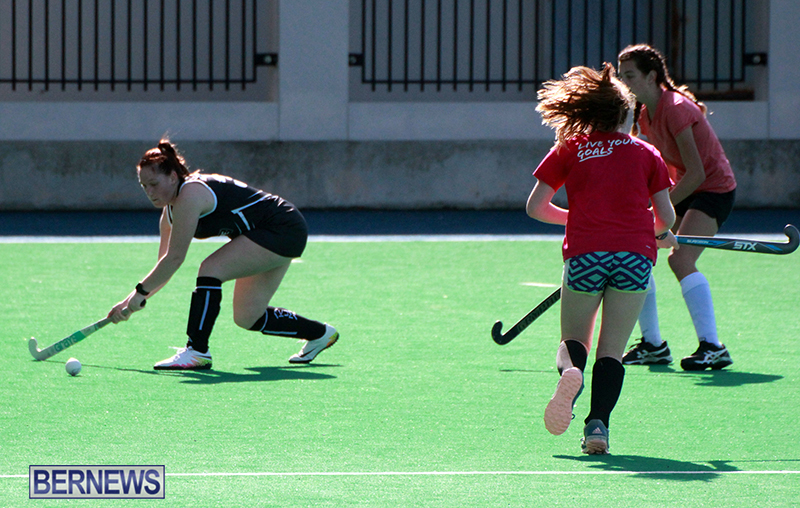 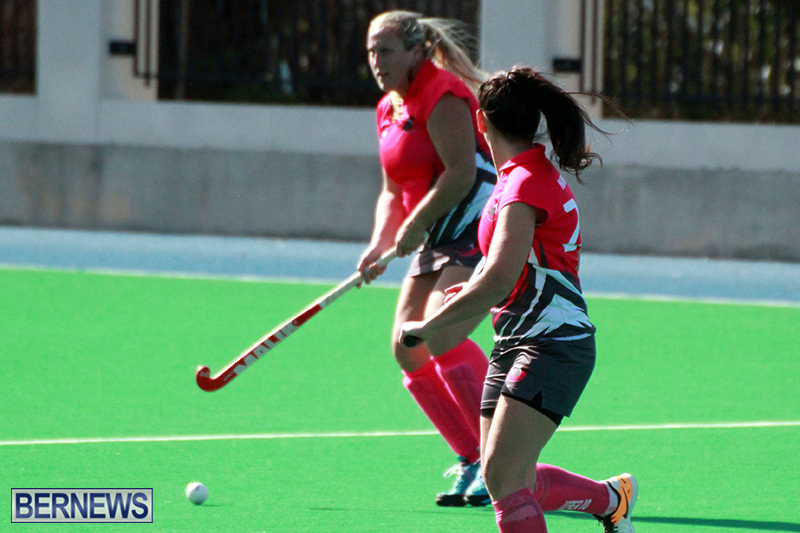 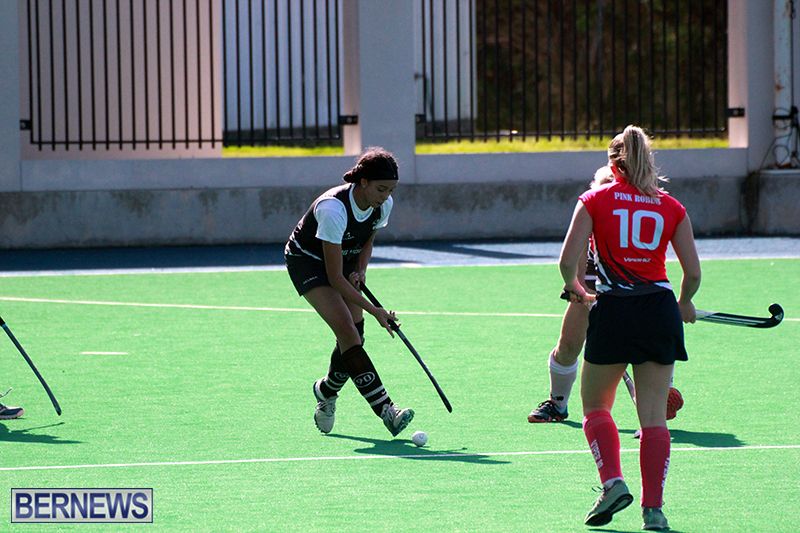 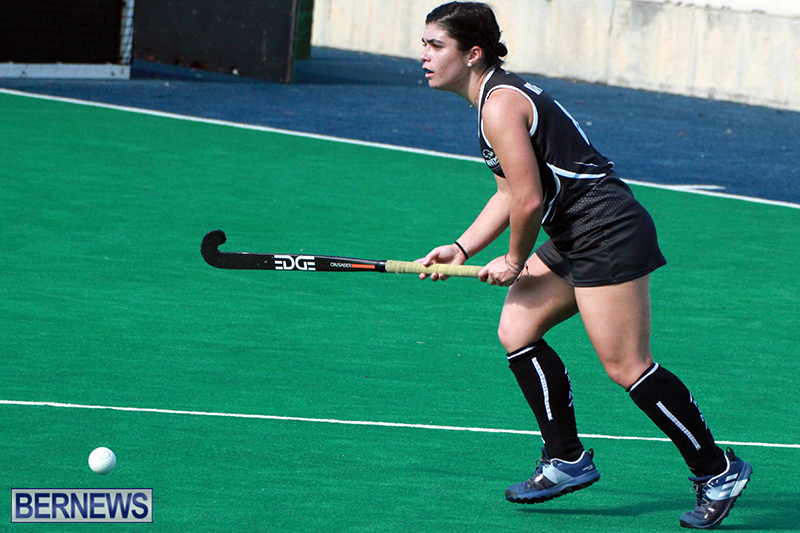 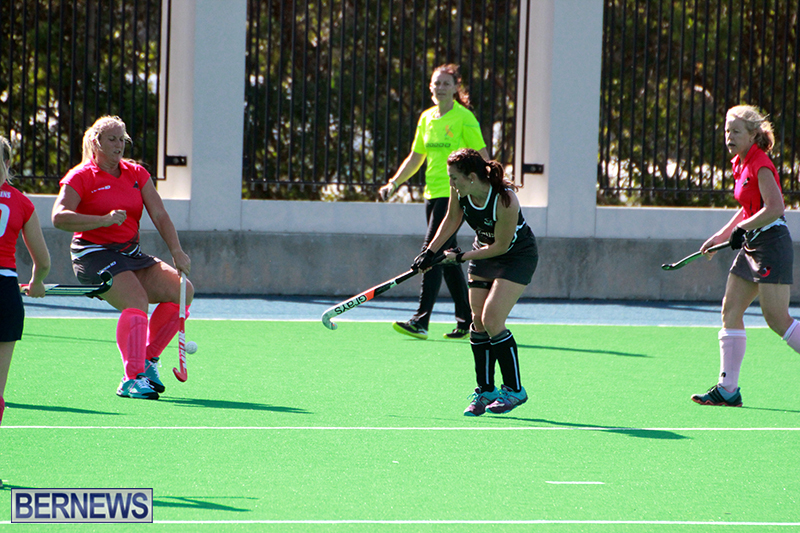 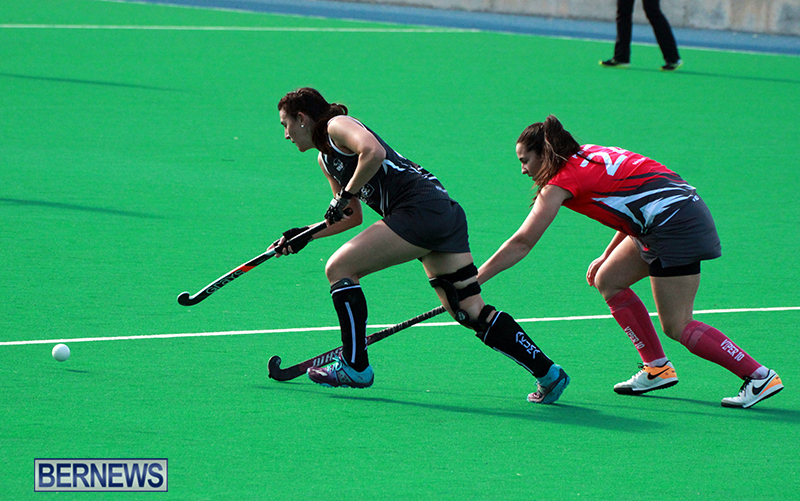 Eleven goals in total were scored during the Bermuda Field Hockey double-header that took place at the National Sports Center. 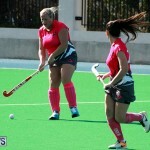 The Canaries defeated the Sandpipers 7 – 1 in the opener on the day. 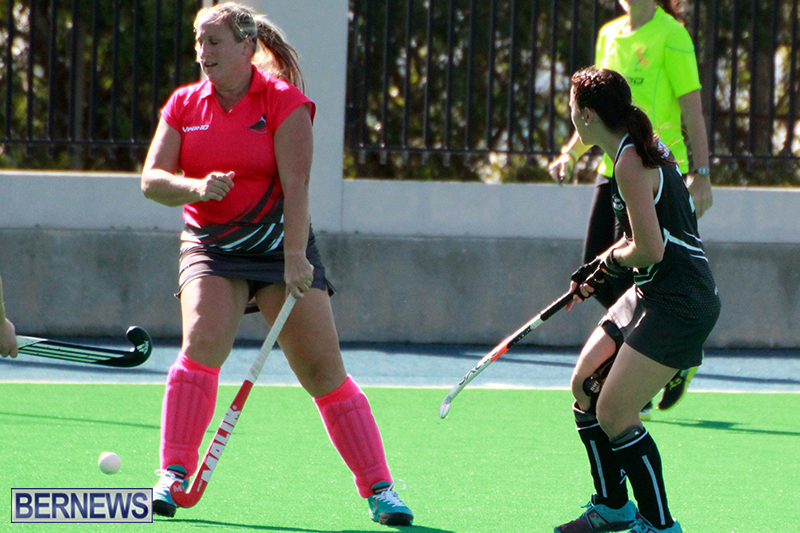 The Canaries took the lead in the 5th minute with a field goal off the stick of Chloe Pullen, and a second field goal five minutes later by Jo Frith doubled the Canaries lead. 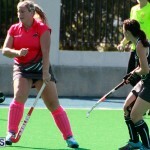 The Canaries then took a 3 – 0 lead when Pullen scored her second goal of the game via a penalty corner in the 15th minute, and then in the 25th minute Pullen completed her hat-trick with another penalty corner goal. 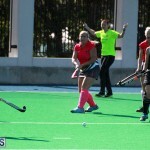 The Sandpipers then scored in the 32nd minute when Alivia Venning scored a field Ggoal to send the teams to the break with the score 4 – 1. 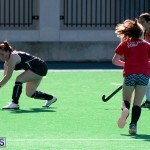 The Canaries made it 5 – 1 with a field goal in the 46th minute off the stick of Nat Rood, and then Grace Edy made it 6 – 1 with a field goal in the 55th minute and the final goal of the game was scored by Frith in the 68th minute. 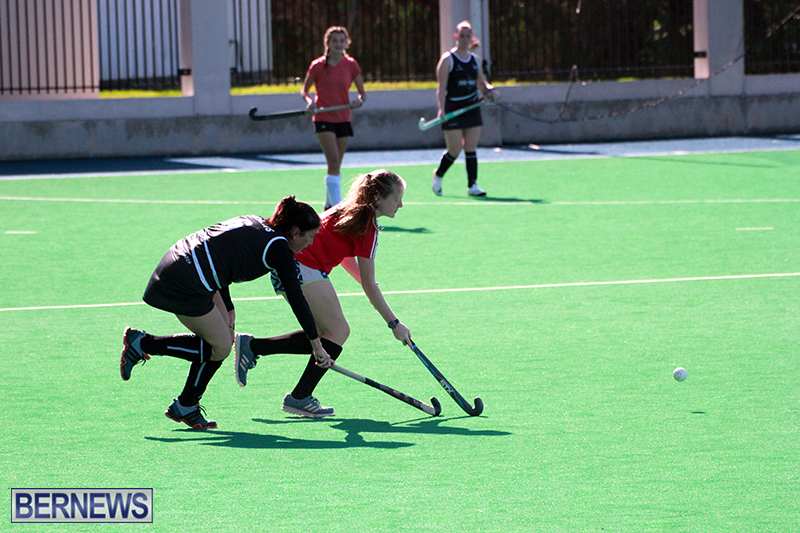 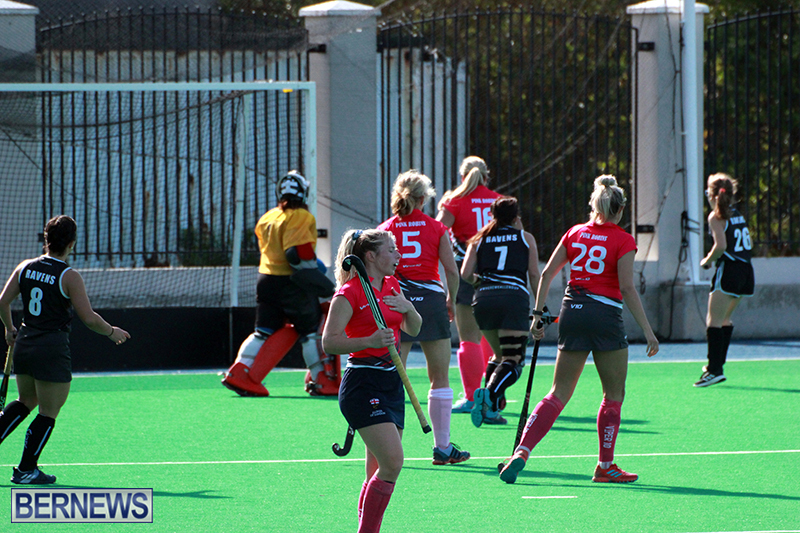 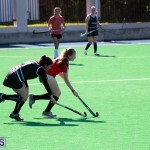 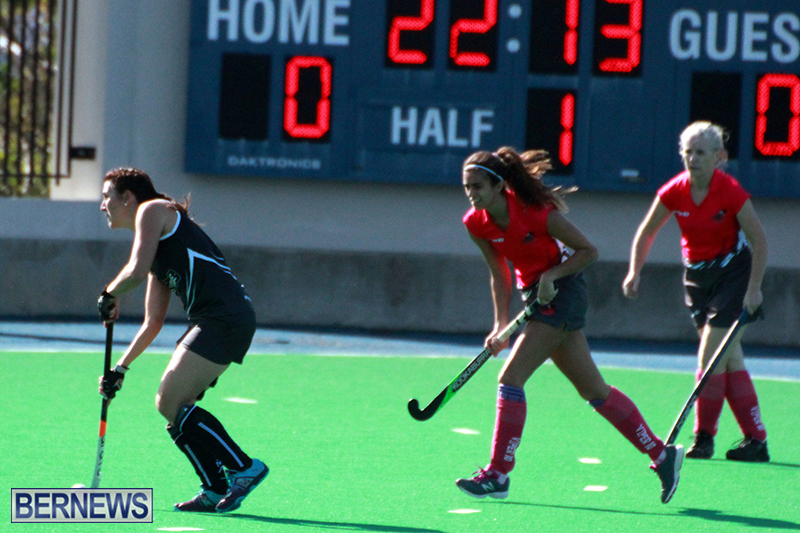 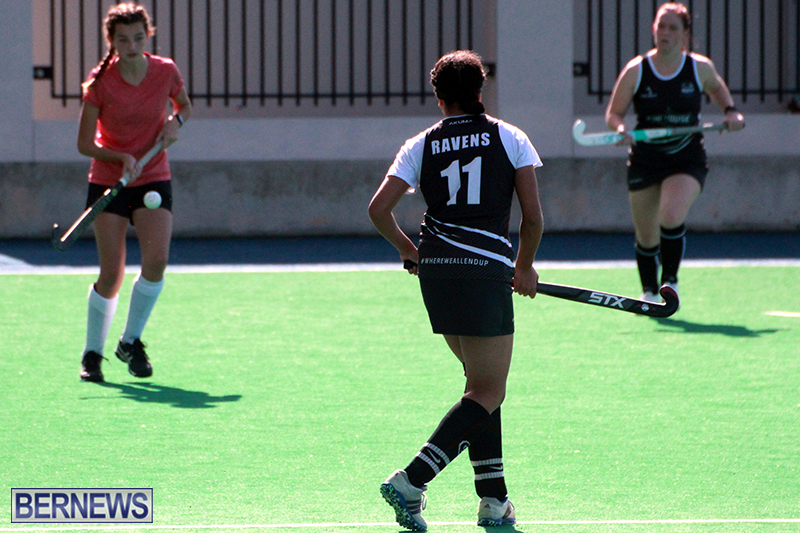 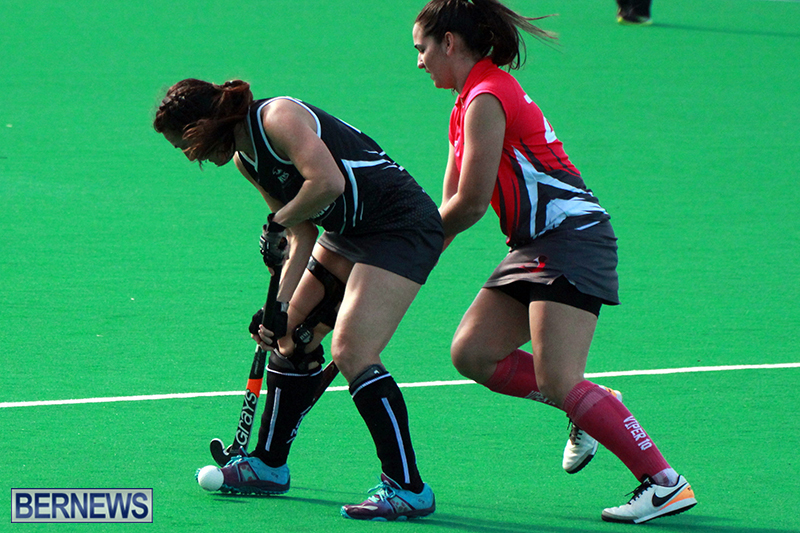 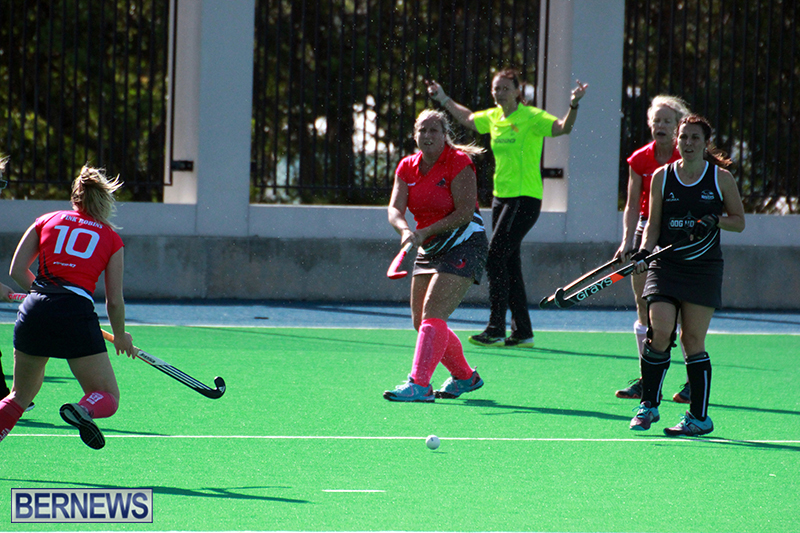 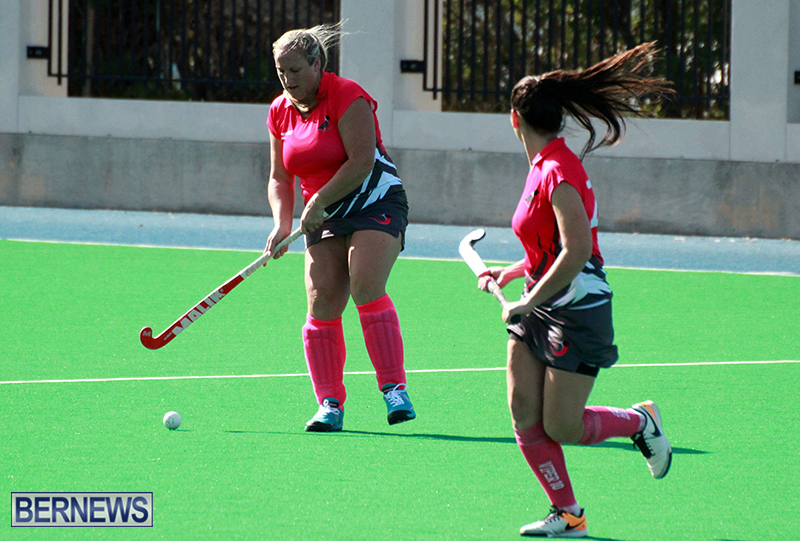 The Ravens edged the Pink Robins 2 – 1. 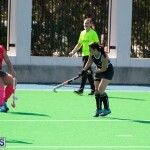 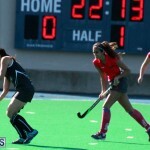 The Ravens took the lead in the 28th minute with a field goal of the stick of Isabel Roe, the Pick Robins leveled the score at 1 – 1 when Emma Ranger scored a field goal in the 43rd minute, but the Ravens would score the winner in the 54th minute with Roe scoring her second field goal of the game.